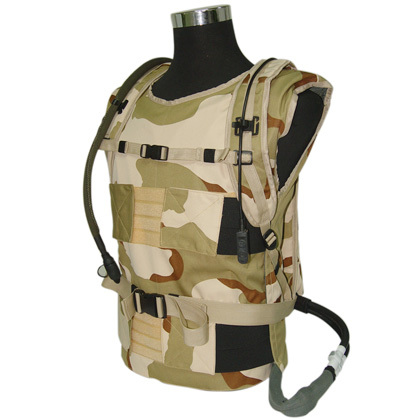 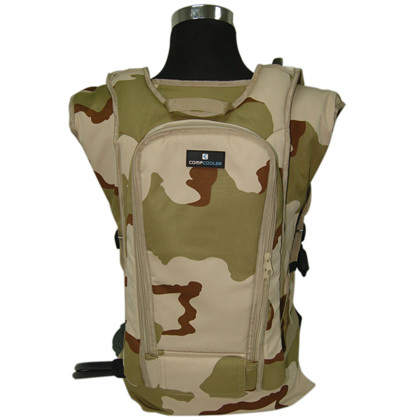 Backpack Ice Hydration Cooling System, camouflage liquid cooling vest, Soldier body cooling and cold water drinking. 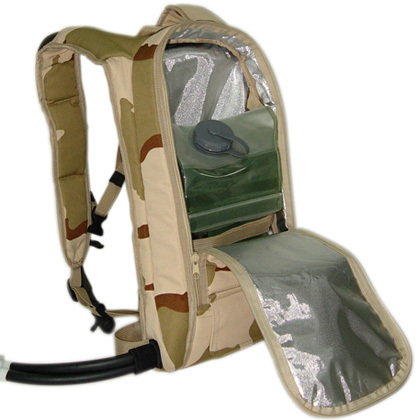 Backpack Ice Hydration Cooling System (BIHCS) is made up of Backpack Water Circulation System with hydration device and Liquid Cooling Vest, using ice water as coolant. 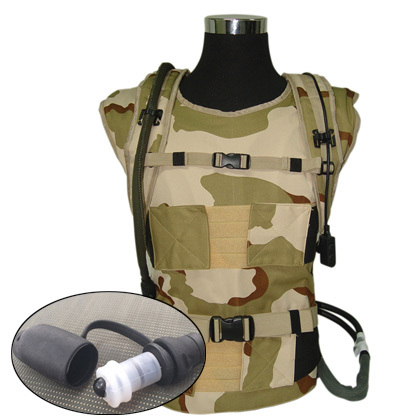 Mini pump circulates ice water from bladder to cooling vest and continuously flow around the body, this will keep the user cool and comfort at hot condition. 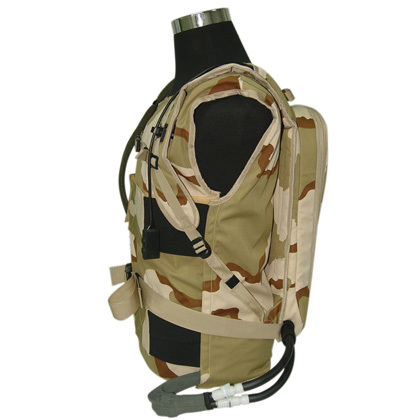 Hydration system used double layers TPU bladder which separate circulation water and cold drink water. 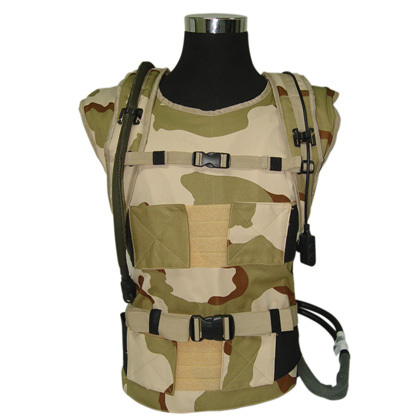 Military, Police and security, Medical, Sport and Racing, Outdoor, Motorcycle, Vehicle Driver, Construction etc.